Drupal is an open-source web development platform for online content. It is a type of website built on a framework known as a content management system. A Content Management System is a combination of tools that are put together to help organize, maintain and enhance content which can be made of text, graphics, sounds, video, audio, etc. 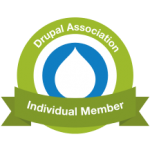 One of Drupal's greatest strengths comes from giving users the ability to securely edit their online content at any time without needing to know html. Fri, Mar 4 One of the most important decisions to make before having a website built for you is whether to choose a static website or a content management system, known as a CMS. There are advantages to both but choosing one over the other is a matter of determining what your needs are. To get the most out of your website, often you will need to use external software to edit or create content for your website. There are a number of utilities that are out there which are either free or extremely cheap and we will cover a number of those below to help you get started.